Esta é a nova versão do RC10R5 e traz como principais noviades os aperfeiçoamentos implementados no RC12R5.2. 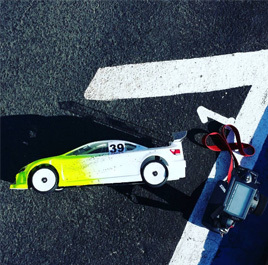 As mudaças são mais visíveis na parte traseira do carro, e na maneira que o chassi está 100% adaptado para baterias 1S. O amortecedor central também foi mudado e o POD do motor está mais adaptado para motores Brushless. Clique na imagem para vê-la em alta resolução. The backbone of the 10R5.1 consists of an ultra-rigid 2.5mm thick carbon-fiber chassis with integrated chassis-stiffening rails. 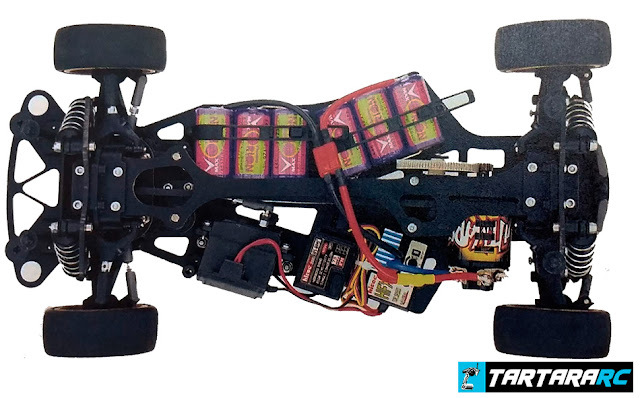 The chassis-stiffening rails provide a centralized LiPo battery mounting position that fits R.O.A.R.-approved 3.7V and 7.4V LiPo battery packs and easily facilitates front-to-rear weight bias adjustments. The 10R5.1 also shares the rear suspension that has been proven on the 12R5.2. The center shock uses the through-shaft design, giving equalized damping throughout the full stroke of the shock in both directions without any unwanted rebound. Roll is controlled with the new side damper tubes that offer smoother rear pod movement and easier maintenance. The 10R5.1 puts this all together for a rear end that hooks up and stays hooked up throughout the imperfections of the track surface, all making for faster lap times. 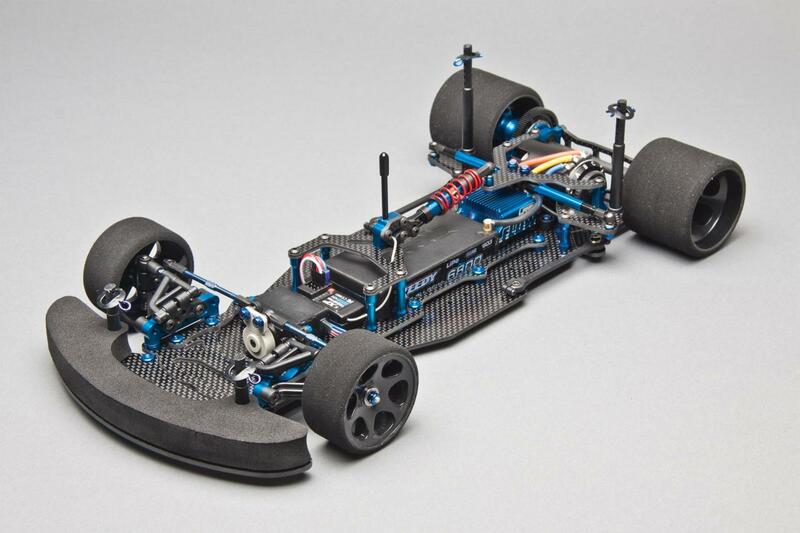 - Ultra-rigid 2.5mm thick carbon fiber chassis with integrated chassis stiffening rails featuring centralized LiPo battery mounting position that fits R.O.A.R.